Old friends having fun. 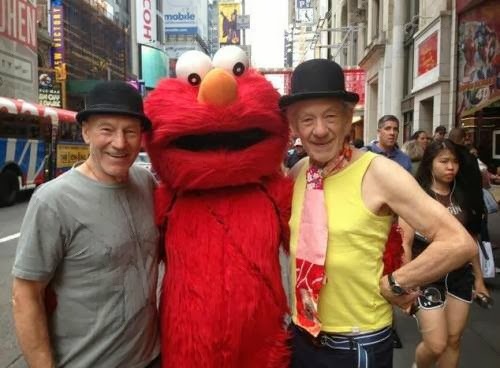 Captain Picard and Elmo for the win. Last week, I planned on going to the Rock Hall with my bestie and we ended up on an amazing whirlwind tour of Cleveland. We had so much fun running around town that I just had to share it. 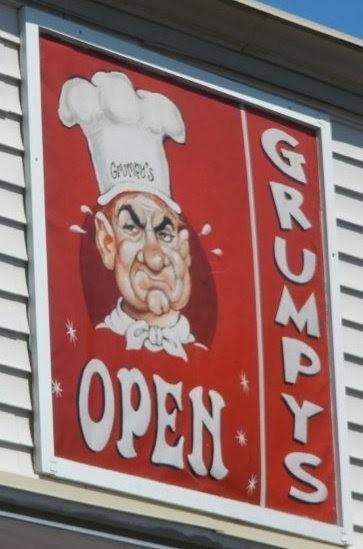 Grumpys in Tremont is my favorite breakfast spot. We started the day with brunch at Grumpy's in Tremont. If you have never been, it is a delicious place to eat. It is busy on the weekends but not so busy that you want to start pulling a fire alarm for a table. My favorite is the blueberry pancakes with a side of bacon. After filling our tummies with homemade food, we hit the town. Since we were in Tremont, we did a drive by the Christmas Story House. I love the fact that there is always someone hopping out of their car taking pictures at any time. Our next stop was the Indians Team shop, hoping to get a quick tour of the ball park. We arranged something but had an hour to kill. It was around noon, we had time to kill and I had 5 diet cokes at Grumpy's, so we stopped at Paninis for a potty break, and a beer. 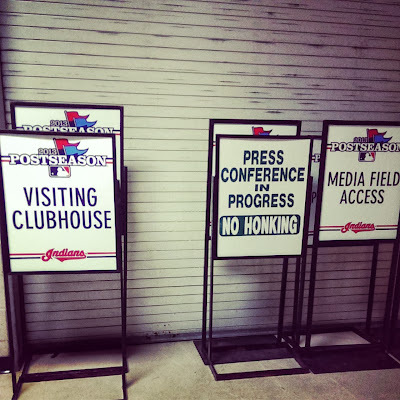 These signs at Progressive Field made me sad. ZOOOM to Progressive Field. 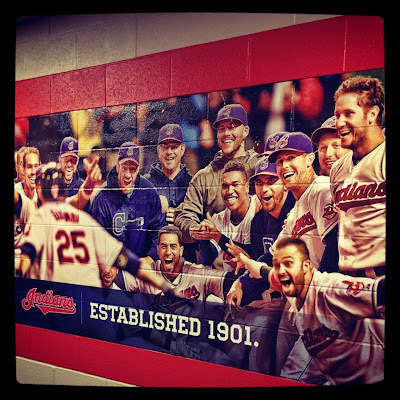 The main goal was to take a picture of the new mural after Giambi's walk off, but I couldn't help to snap some pics on our way. These signs were in the hallway. 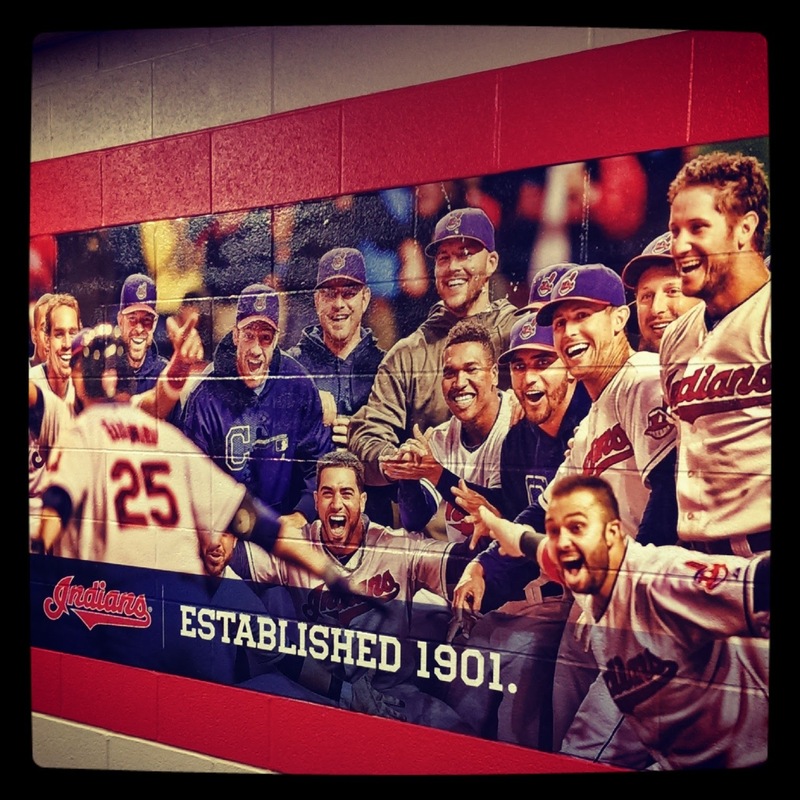 This mural makes me so excited for Spring Training this year. I can't wait. There is still time to get your season tickets. I have a 20 game pack, which is just right. We zoomed out of Progressive Field, planning on going to the Rock Hall. 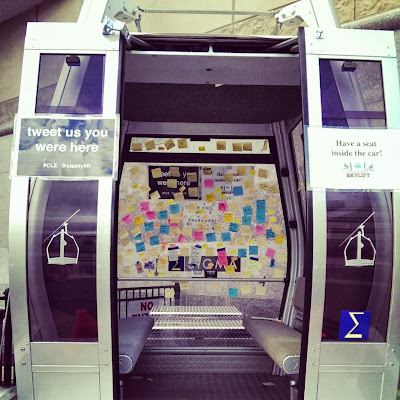 But then we saw the car for the Cleveland Skylift project. It is an awesome idea, but it made me a little squicky to think about it in the winter time or being trapped with stinky strangers for the whole ride. There is no sitting on the monument. Zooooom off we went to the Rock Hall, but we decided since it was on our way, to stop and see a few sites. There was a sign that the Soldiers' and Sailors' Monument was open, so why not visit? 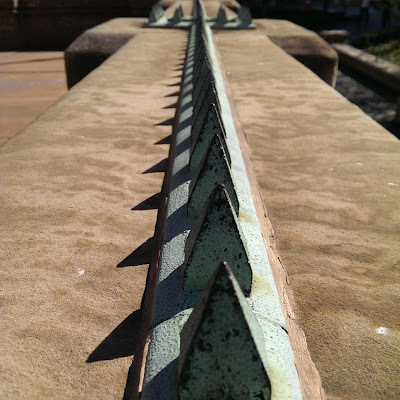 There were little spikes all around the top, to stop people from popping a squat on the monument walls. I'm embarrassed to say I have never been inside. 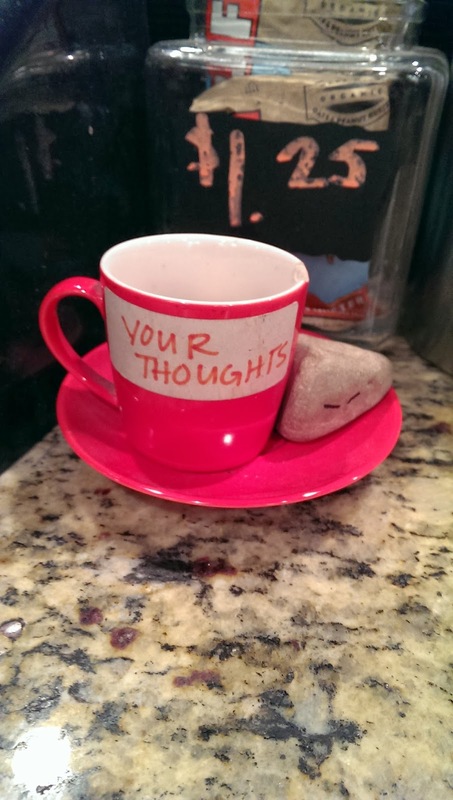 It was small but beautiful. The staff member inside was informative and great to talk to. There are tunnels underneath that are normally not open to the public, but Halloween weekend they will be. 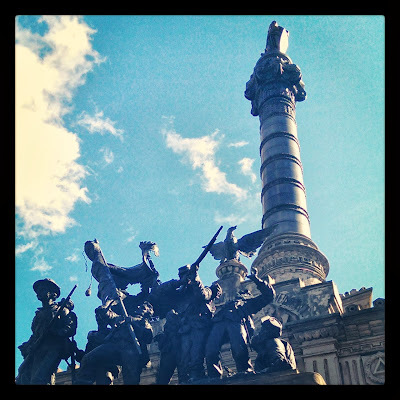 It is rumored that it is haunted by the ghost of the man that designed the monument. Tiffany Windows, signed by Tiffany in the Old Stone Church. We were a block away, so we went into the Old Stone Church. Again, another landmark in Cleveland that I have never visited. The staff was amazingly friendly and they let us wander around and take a few pictures. 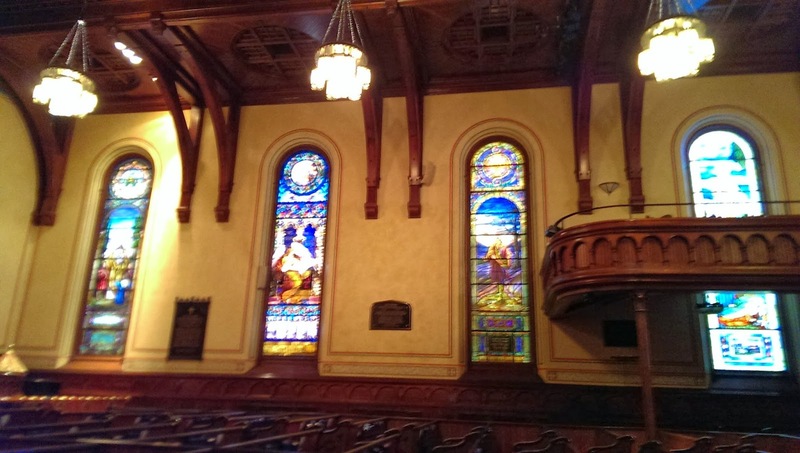 There are a few stained glass windows that were created and signed by Tiffany himself. 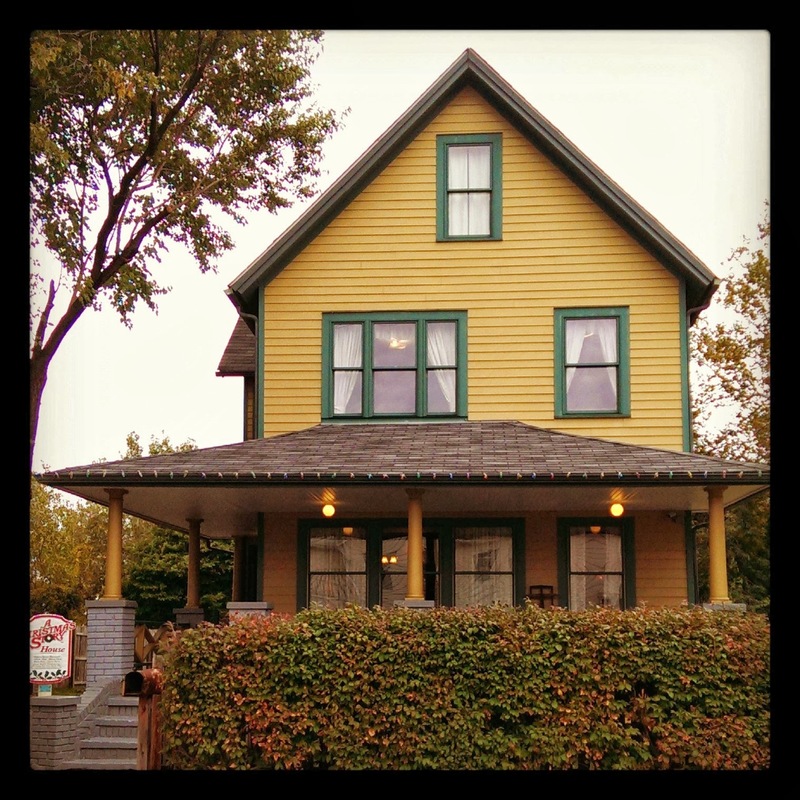 The visit was free. Yayy. Cops, horses and hot dogs. 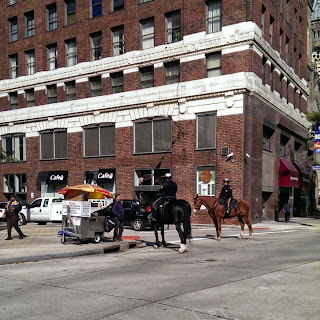 As we crossed the street, some cops were getting hot dogs. On horseback. 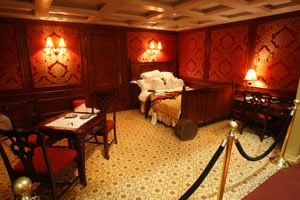 Great Lakes Science Center - Titanic Exhibit - First Class quarters. We hopped back in the car and drove towards the Rock Hall, where I am a member. But then we decided to see the Titanic exhibit at the Great Lakes Science Center. I had a pair of Indians ticket stubs and with those, we got in FREE (call for details). While we got in the museum free, we had to pay for this exhibit, but it was well worth the ten bucks. There are no photos in the exhibit, but it was very well done, including an simulated iceberg you can touch and freeze your hand off on. I admit, when I touched the iceberg, I actually thought about all of the Road Rules/Real World challenges where contestants have to touch ice until they quit or get frost bite. I can't imagine the amount of wealth that was required to book passage on the Titanic. When you enter the exhibit, you are given the pass card of a passenger and at the end you can see if you person was rescued or not. Johnny's Little Bar in the warehouse district. After the Titanic exhibit, we decided we were hungry and since it was dinner time, off we went. 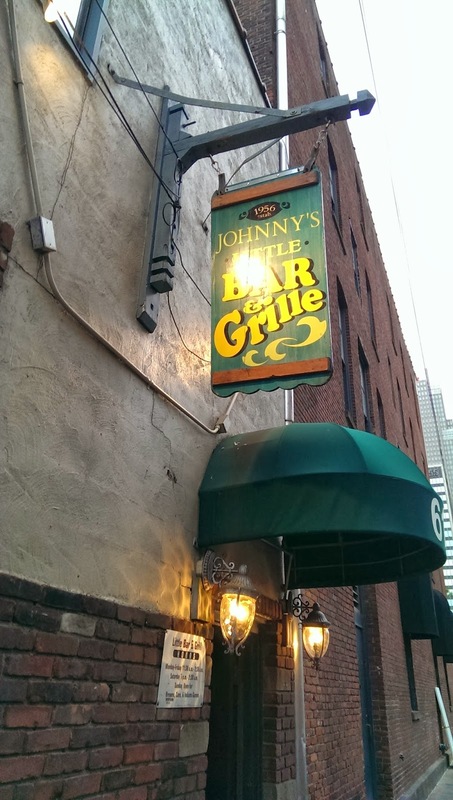 We stopped in Johnny's Little Bar for what was labeled the best burger in the city. 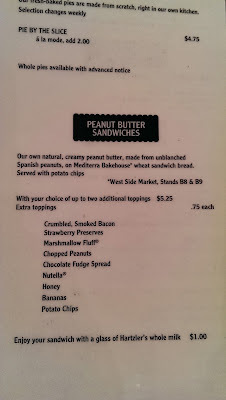 After dinner, it was nearing rush hour, so we decided on dessert, and went to Sweet Moses in Gordon Square. Again, I had never been and was looking over my shoulder to see if someone was going to revoke my Cleveland card. I went with a sundae and am contemplating a peanut butter sammich for my return. I also took home a slice of apple pie, that my dad snarfed before I could even put it on the counter. 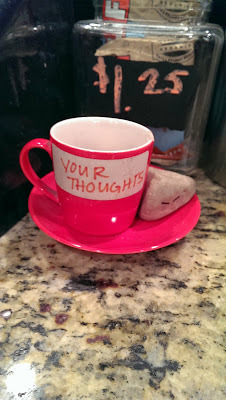 The witty counter at Loop. After ice cream, we returned to Tremont to get my car. Before we parted ways, we stopped in Loop for some road coffee. This joint is not only a coffee place, but they also have a great record store...and by record, I mean actual vinyl records. I'm amazed at how much we were able to pack in, and most of it completely unplanned. Which is the best kind of day. So Cleveland, what is your perfect day?